Australia's national women's soccer team has enjoyed quite the year, climbing from eighth to sixth on the FIFA World Rankings, with the expectation of cracking the top five once again when the new list is released in mid-December. The Matildas posted a historic win over the U.S. as they claimed the Tournament of Nations title in July, and they put an exclamation mark on their year with a comprehensive 5-1 win over China in November that extended their winning run to seven matches. Despite that triumphant year -- with just two losses to their name -- star striker Samantha Kerr remains motivated to prove to the world that the Matildas, and Australian players individually, are some of the best footballers on the planet. "I don't think they respect us as much as they should," Kerr told ESPN. "I think we're a great football team and I think that anyone who watches football knows that we're one of the best teams in the world; and if people start to truly believe that then there will start to be more Matildas nominated [for FIFA awards]." Kerr was shortlisted for the prestigious 2017 FIFA World Women's Player of the Year award, but she was later overlooked as one of the final three nominees; it was a decision that outraged some of her teammates -- and global heavyweights such as Abby Wambach and Nadine Angerer -- but Kerr said her omission had only spurred her to reach greater heights. 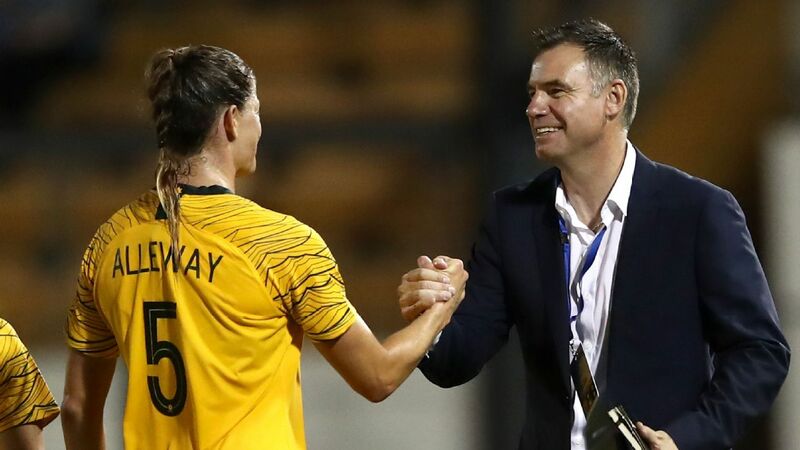 "It not so much motivated me to win World Player of the Year; it motivated me to prove to the rest of the world that Australians -- not only me -- are up there with the best in the world," Kerr told ESPN following her AFC Asian Women's Player of the Year win. "I don't think people in Europe respect our national team as much as they maybe should, and it makes me want to prove to people that we do have some of the best players in the world and we're one of the best teams in the world. "It's not about me winning World Player of the Year, it's more about people respecting the Australian football culture, and I think the Matildas are doing a really good job of that." The notion of disrespect was raised following the Matildas' third consecutive win over Brazil in 2017, and their second at home, when the Canarinhas players refused to shake hands after Australia's 3-2 win in Newcastle. "I don't know if that moment specifically was about them not respecting Australian football," Kerr told ESPN. "But I think shaking hands at the end of the game is a sign of respect, even if you hate the person you're playing against. No matter how angry -- and don't get me wrong, there's been times when you don't feel like shaking people's hands -- it's just a sign of respect." The third Matildas player to be named AFC Player of the Year in four years, the 24-year-old joins teammates Katrina Gorry (2014) and Caitlin Foord (2016) on the honour role as Australia continues to make its presence felt in the Asian confederation. Samantha Kerr and Australia proved that they can beat the world's best in 2017. Now they're seeking respect. Plying her trade in Australia's W-League for Perth Glory and for Sky Blue FC in the U.S. National Women's Soccer League, Kerr has made an impression across both competitions: She was awarded the W-League Julie Dolan Medal and received the NWSL's Golden Boot for her 17 goals in 2017. But she believes both leagues lack the international recognition they deserve. 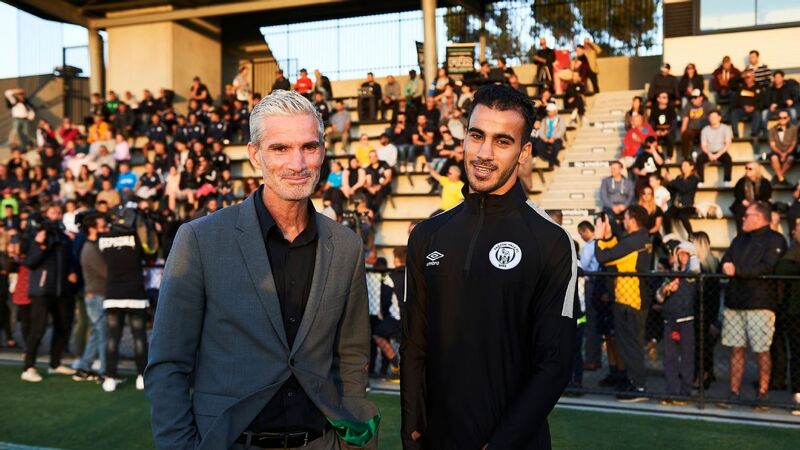 "At the moment, some people think the W-League is a bit of a laugh -- and even the U.S. league -- Europeans can be a bit snobby with their football," Kerr said. "I think the U.S. league is much more competitive than the European league, so I think it's just about proving European countries -- that think they're footballing gods -- wrong." 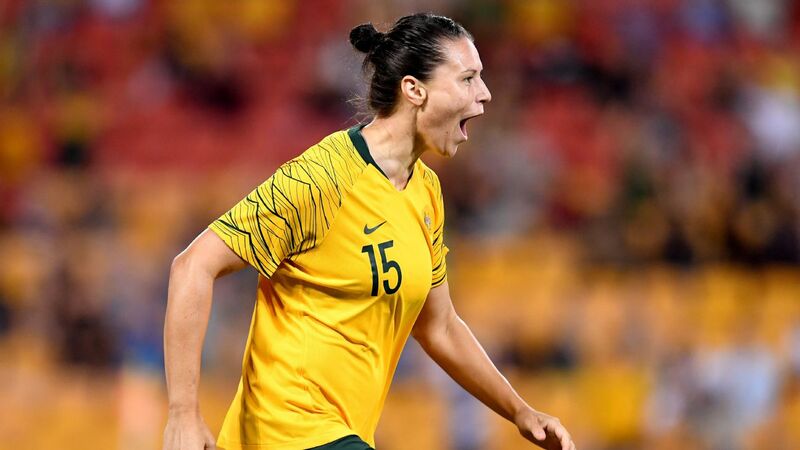 Preparing for the 2018 AFC Women's Asian Cup and the 2019 Women's World Cup, the NWSL leading goal scorer is adamant the Matildas can top FIFA's World Rankings; and if that means knocking down a few European pegs on the way, it'll be "that little bit sweeter." 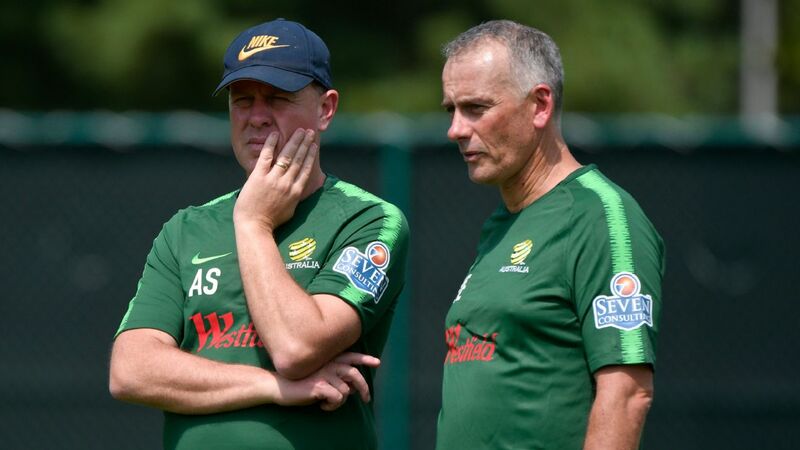 "One hundred percent the Matildas will be No. 1," Kerr told ESPN. 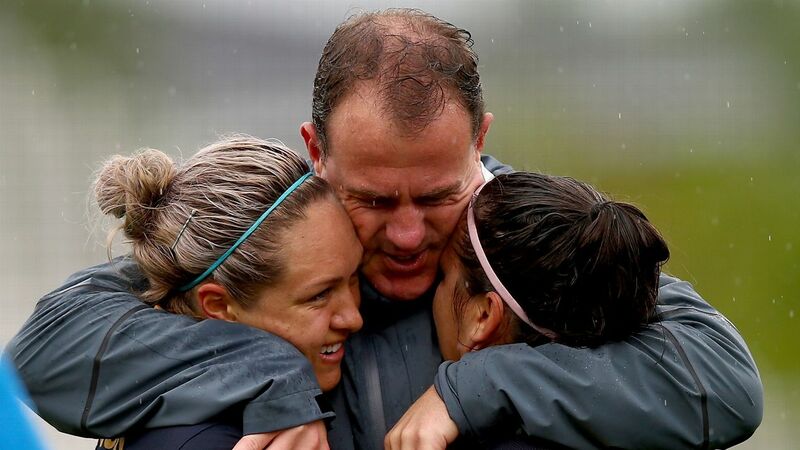 "Our team is so proud to be a part of the Matildas, and everyone's given up so much to be a part of this team. I think we definitely see us fighting for that No. 1 spot in the near future. "Upping European teams does give you a bit of fire, but it's not what I play for; it just feels that little bit sweeter. 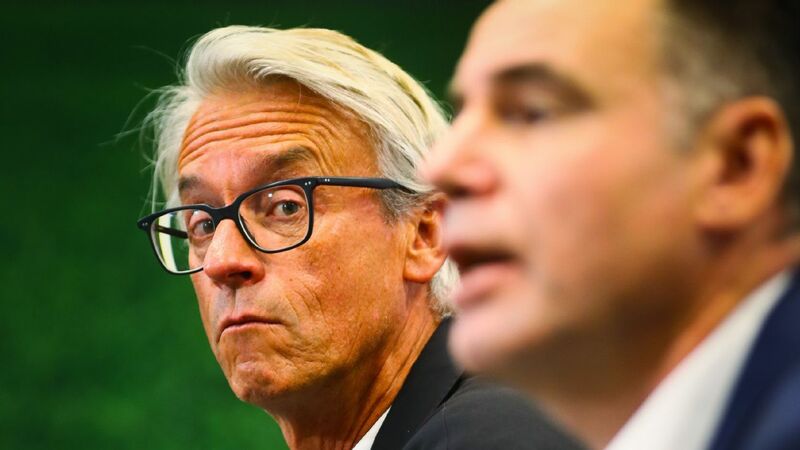 The Matildas are becoming one of the top three nations in the world, above all those European teams, who were supposedly all built on football."